I'm observing tonight and noticed my Watec video stream stopped updating while detecting. I've seen this problem already from a few other cameras I operate remotely and use the Auto Restart Interval on them (10 minutes). But is there any insight on what makes this happen? It runs at just 7% CPU use. Watec video stream stopped updating while detecting. Do you mean frmaes are dropped in the stored video? Or it looks stopping on the Live view sheet? Are you using Single File Mode? It is the live feed yes. It does not seem to detect anymore as the frame no longer changes. I saw similar problem on BMD DecklinkSDI4K recently. It does not start detection (bar stays yellow). I could not solve this problem yet. What is your capture device? Which Is the status bar color blue or yellow? Does the problem occur recently? There is another computer with a Pinnacle700 driver which (after days/weeks) will no longer show any stream unless the PC is rebooted. That seems a capture device issue. I am coming back to this topic. I am operating an spectrometer system for my colleagues of IAA-CSIC in Granada along with my own camera. They recently installed a new PC. Problem is the BlackMagic Design Decklink driver somehow does not work properly on this PC, showing no image. (it's a Decklink Mini Recorder PCI card from 2013). Therefore we currently resort to another input (I think the Canopus) to record a lower resolution stream. Do you have ideas we could try and any experiences solving problems with BlackMagic devices? 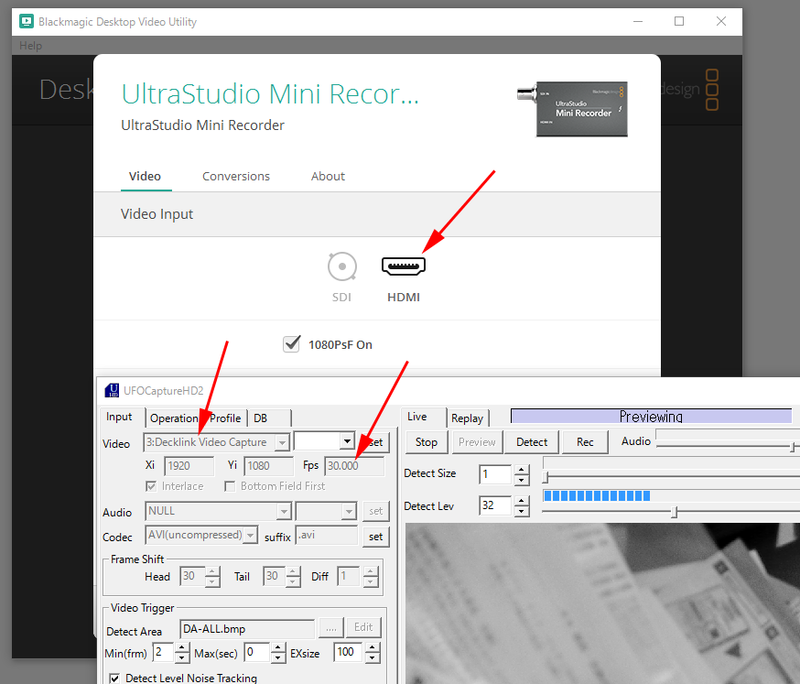 png below is the HD30.0 capturing on Windows10 using Mini-recorder(thunderbolt). It uses latest DestopVideo 10.6.6 as the driver. 3) set precise fps correctly (29.97 and 30.0 are different here), what is your camera? 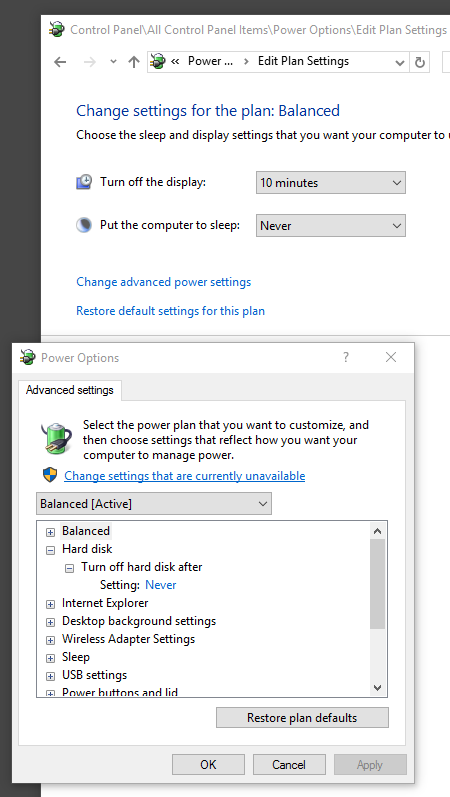 as for recent windows, the HDD power off setting caused troubles on many PC.